Sebastian Vettel: "Max was the best driver in the race today, Lewis was the best driver this season." Forza Ferrrari, I am happy for todays race, I am glad that all the pressure is of now. Next year we will try again, hope we will have a good car like this year. 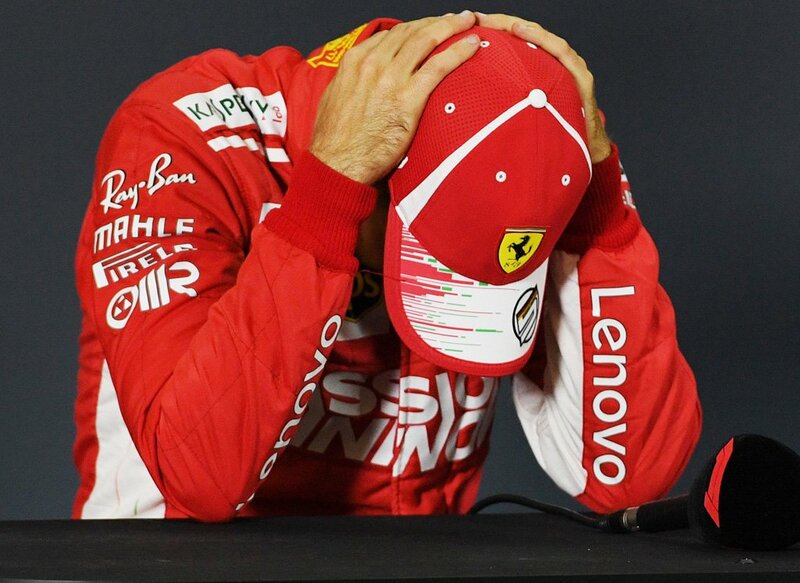 And team making less mistakes would help of course, and also please Seb, i will always be his greatest fan. Leclerc I think will also be very quick, i think there is yet light at the end of tunnel. And that's the beauty of Formula1. we are still fighting for WCC and Merc's pace today gives me a little hope. Vettel on Hamilton: He drove superb all year and was the better one of us two. Number five is something incredible. I congratulated him, asked him to keep pushing next year and we'll fight him again. Any of the following results in Brazil keep the WCC alive until the last race. The gap can't be bigger than 42 points after Brazil. Ferrari 1-2 vs any Merc results (43-27 or worse). Ferrari 1-3 vs Merc 2-6 (40-26). RBR 4-5. Ferrari 2-3 vs Merc 4-6 (33-20). RBR 1-5. At start, all drivers except DR & kimi had a good start. Vettel got good slip stream from mad max but he has no space to go anywhere DR was next to him. Else I think vettel would have overtaken RB at start. Forgot to mention, good drive by Leclerc again . Sauber team crossed TR in WCC. Vettel: "I would like to thank the fans, the team and the guys in Maranello. I promise I will always give my best, I will try to do everything I can"
Pretty good race today, strong drive by Seb so far and no problems with the tyres/engines like rivals had. Nice to see all three fighting with each other again. And give them hell next year! Two podiums spots for Ferrari, Max got the win, Lewis WDC, what a race !!! I think German GP loss did struck him at big, mentally. He doesn’t seem to be relaxed taking much pressure. Stefa, we are used to it since 2010. Congratulations for LH's 5th WDC. He clearly suggests that Red Bull sabotaged him on the race start....so it’s not all about engine failures. 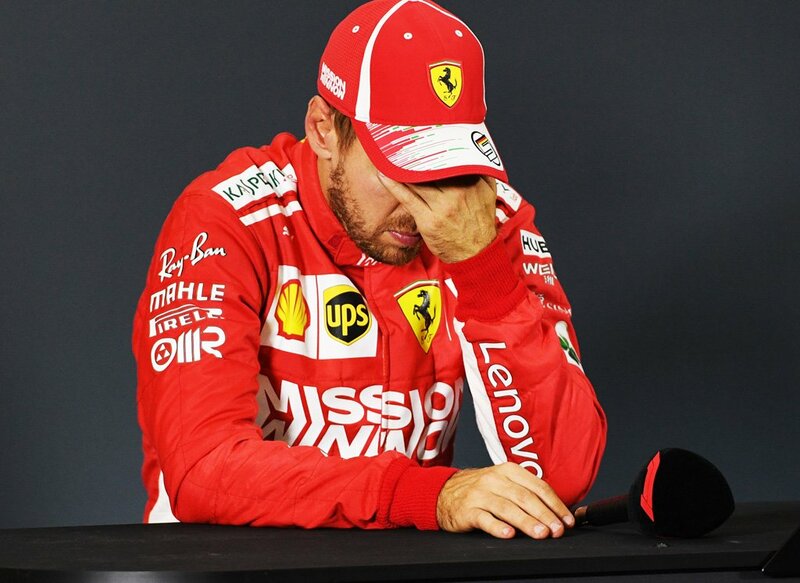 Absolutely gutted for Sebastian, but just too many mistakes this year. Turning point for me was german gp. Remarks after wining at silverstone and mocking hamilton for pushing his car in qualifying, really came back to bite us. Never the less congrats to lewis. We will come back stronger and correct all the wrongs of this season. Thank you sebastion for taking the fight to lewis again this year, we'll get them next year. Toto wolf is not at all too happy with the race results, jeez this guy hates loosing to ferrari. Oh yes... Crofty has to go otherwise we draw up petition. We want fair and transparent commentary. 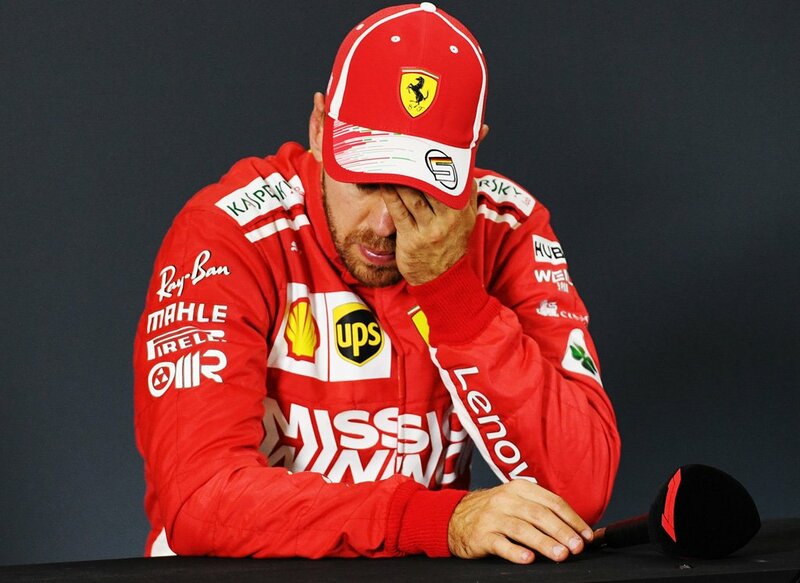 The problem is, Seb has shown nothing this year that inspires confidence for next season really, which is quite depressing. I'm putting more hope in LeClerc. At a race like this where he had to deliver (meaning the pressure was at its highest), he made zero mistakes, driving a flawless race. One has to wonder if he did this in the other races as well, who would be the WDC. Sebastian can be ruthless, it's just we have not seen it this year. You dont loose driving skills and talent overnight. Remember form is temporary, class is permanent. well, with 2 races to go and a slim chance to win WCC, Seb still has the opportunity to show us what he can do before next year comes. What a boring race it was. Even though there was some amount of overtaking, the race felt drab. Max drove a fantastic race and am sure he is headed to Ferrari at some point. Hamilton and Bottas both played safe and their car was destroying the tyres, so there really was no challenge for positions. DR and Ham both let Vettel past easily, and Kimi was compromised for vettel (IMO). Hopefully next season will be a bit more exciting. Am really waiting to see leClerc in the Ferrari. The kid is amazing.